BECOME A FORCE OF NATURE… Introducing Baby Bloom, the newest and simplest way to combat hot and cold extremes, air-conditioning and outrageous heat, with our next generation collection of Studio Moisture Tint treatments…makes the sunny side of the street the place to meet! 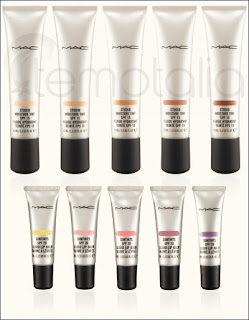 Five neutral skin-tone shades, all SPF 15, to drench skin in healing emollients, give it glow, rescue it from future damage. And fresh new Suntints SPF 20 Liquid Lip Balm in five sheer colour shades, from Pink Tinge to Moist Plum, are the big news we’ve been tight-lipped about…until now! Credit to Temptalia.com for all pictures and info! Visit her at www.temptalia.com! This looks like my dream collection...moisture moisture moisture. I have very dry skin and anything that is formulated to hydrate and refresh is right up my alley. I love tinted moisturizers and Lip Balm. This Suntints looks very interesting and right away Just a Smidge, Lilt of Lily, Pink Tinge and Moist Plum is calling out to me. Why is this coming out so late? July 30? What the hell? Will these be the new tendertones? Is this why they aren't releasing new tendertones? I hope these are similar!!!! What a simple, yet beautiful collection. LOL we must have been typing at the same time. 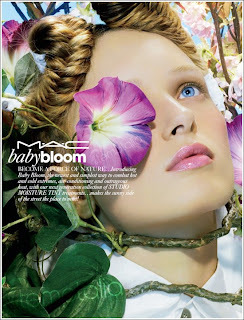 I just did a blog post on Baby Bloom. So are these Studio Moisture Tints the replacement for the discontinued Select Tint? Hope so, though whether 5 shades is enough to find something to suit everyone...? The lip balms sound lush. Havent heard of this collection but looks so interesting and there is a new packaging?Will def check it out!! Olivia- that is excatly why I love this collection. The simplicity of it! yinka- we are on the same wavelength! Jassy- I am super dry so anything moisturizing is great. I hope the tints are good! I could use an affordable tinted moisturizer! freckltone- you are welcome! 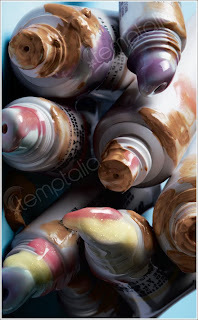 the balms look very mouthwatering! I need to convince myself that I don't 'need' these...not sure if my willpower will last. BTW, I love your blog! Come check out mine if you get a chance. I will come check you out! Love your blog!! You're gorgeous ! krista- it is coming out July, its brand new! We need it now!! !